Do you have a dental wish list? For sure, this list includes treatments that will whiten or straighten your teeth. By visiting your dentist in Mernda here at United Smiles, we will help you make your dental wish list come true. If you are looking for a total smile makeover, we recommend our natural-looking porcelain veneers. These thin, porcelain shells address a variety of dental aesthetic issues, from tooth discolouration to misaligned teeth. After two dental visits, you’ll never see your smile the same way again. There are various reasons why your dentist may choose porcelain veneers for your smile issues, and you might have the same reason, too. For a quick guide, if you have the following dental cosmetic flaws, you may opt for porcelain veneers as the best option for your smile. Investing in porcelain veneers also means saving your time and money. Other cosmetic dental procedures such as teeth whitening, dental bonding and orthodontic braces involves multiple appointments and can take several month or years to see the final results. With porcelain veneers, you can see your dream smile transformation right after two appointments only. Though porcelain veneers repair multiple structural or cosmetic dental problems, not everyone can benefit from this multi-tasking cosmetic dental treatment. If you are opting for porcelain veneers, you must have good periodontal (gum) and overall oral health. People who are committed to proper oral care and hygiene are also ideal candidates. 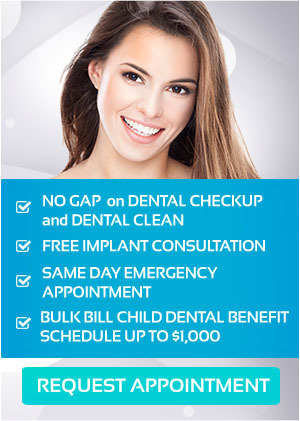 In addition, you must have specific cosmetic goals to articulate to your dentist at initial consultation. In all cosmetic dental treatments, a patient must have realistic expectations as well. Since your dentist will remove a thin layer of enamel, you must have a sufficient amount of it. On a brighter note, your dentist can treat these problems and you can be cleared for any cosmetic enhancement. Patients who may be disqualified for veneers are those who habitually grind their teeth and clench their jaws. You can fully determine your candidacy for porcelain by scheduling an appointment with a skilled cosmetic dental professional. If you don’t qualify for veneers, there are many other smile makeover treatments that your dentist can recommend. Many patients prefer porcelain for several sensible reasons. Due to the materials from which veneers are made, they look more natural and are resistant to stains. Porcelain veneers also tend to last longer than dental bonding. Compared to dental crowns, porcelain veneers require less preparation and shaping of the tooth, which are a crown’s disadvantage. Also, porcelain veneers are a stronger, more natural-looking alternative to dental bonding. There are many types and brands of porcelain veneers available, and here at United Smiles we only offer the highest quality and best of its kind. If you are facing some issues with your smile and would love to fix them with porcelain veneers in Mernda, come see our skilled cosmetic dentists at United Smiles Dental. On your first consultation, our dental team will provide you a fully informed idea of all your treatment options, costs as well as durations. Let your Mernda dentists at United Smiles transform your smile today.